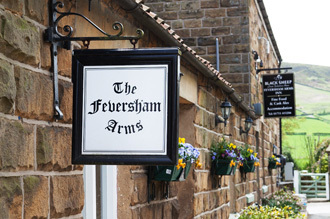 The Feversham Arms Inn is located at the northern end of Farndale in the village of Church Houses which is to the right of Blakey Ridge in the North York Moors National Park. It is a traditional inn, serving freshly prepared food from local sources together with comfortable accommodation. Saturday and Sunday – from 12.00 midday, all day. The immediate area is known as “Daffodil Valley or Daffodil Dale” because of the hundreds of thousands of wild daffodils that line the river Dove and surrounding hillside – a true spectacle from mid March to mid April, dependent on the weather and climate. The inn is owned and managed by Rachel and Alan Forster and offers three comfortable double en suite rooms together with a self catering cottage for two people. 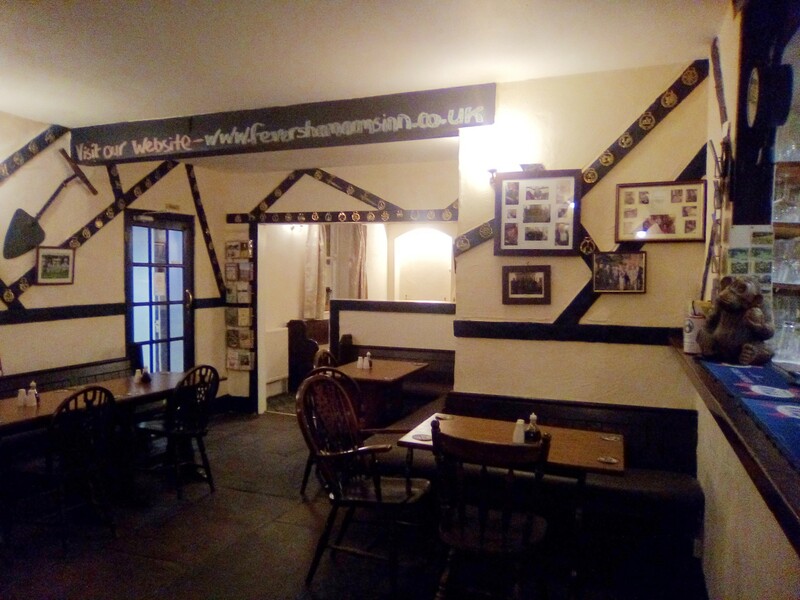 Bar meals are served daily and there are two dining rooms which can be booked privately. Outside there is a beautiful beer garden with great views down the valley. There is an ample car park behind the inn for the benefit of patrons with roadside parking also available. We welcome families, clubs, walkers (click here) or just the two of you out for a ride in the countryside – you couldn’t find a better place to take it easy and relax. 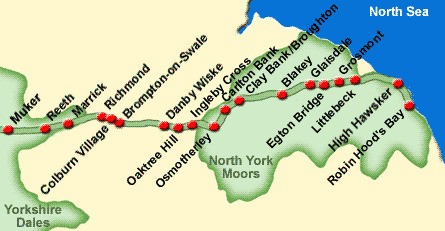 The Feversham Arms Inn is close to the Coast to Coast Walk at Blakey Ridge and is pleased to offer a pick up and return service with prior notice. Please call Rachel or Alan on 01751 433206 to make arrangements.